Find special events in Pigeon Forge, Gatlinburg, and Sevierville. 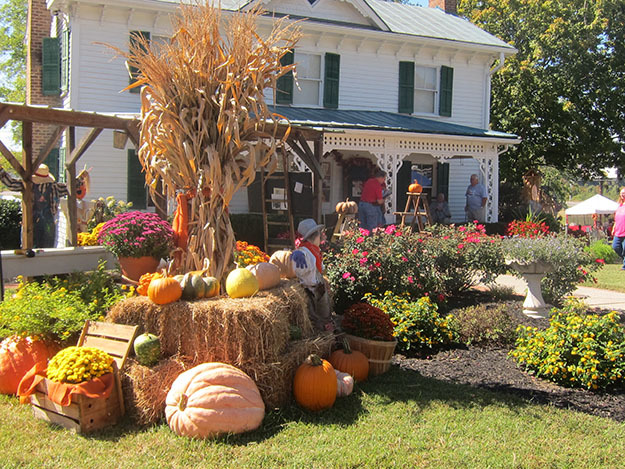 Special events include parades, bluegrass and gospel music festivals, and other festivals. Discover special events to meet every taste and age. Quilters from throughout the country gather to attend classes that are based on skill level and technique. There is also a magnificent quilt show that displays a variety of quilts. A quilt competition includes various categories. Held at the LeConte Center, Pigeon Forge. 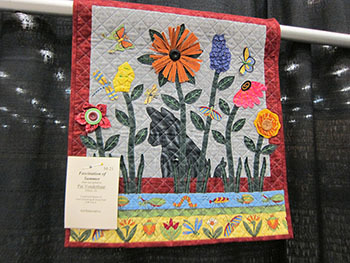 The Great Smoky Arts & Crafts Easter Show features some of the finest artisans in the Southeast. These artists make up the Great Smoky Arts & Crafts Community located just off Hwy 321 in Gatlinburg. The show is held in the Gatlinburg Convention Center in downtown Gatlinburg. Formerly named Dolly’s Homecoming Parade, this grand event draws over 50,000 fans. The parade begins at 6:00 PM and travels from traffic light #6 to traffic light #3 in Pigeon Forge. You will see uniquely decorated floats against the backdrop of the Great Smoky Mountains. 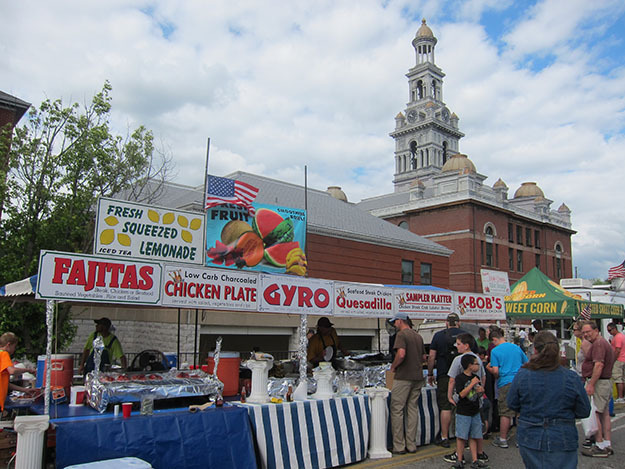 This annual event is held in May at the Sevier County Courthouse and features live bluegrass music, vocal competitions, and BBQ cook-offs. To honor the incredible songwriting of Sevierville’s favorite daughter, Dolly Parton, the Sevierville Chamber of Commerce hosts an annual Mountain Soul Vocal Competition. Contestants must sing a song written by Dolly Parton in the style of his or her own choosing (country, rock, rap, bluegrass, etc.). Early morning Easter Service at Ober Gatlinburg includes complimentary tram service to the top of the resort begins at 5:45 a.m. Service begins at 6:30 a.m. Breakfast buffet available. This 2-day event is held in the Spring and Fall every year. More than 10,000 trout are stocked in over 20 miles of streams prior to the tournament. There is $10,000+ awarded in cash and prizes. This is the largest trout tournament in the Smoky Mountains and is for all age groups, tourists and locals. Ober Gatlinburg’s traditional spring celebration includes pond skimming, giant slalom, jump competition, plenty of food and drinks, and cool vendors. Registration will start in February and there will be loads of great prizes up for grabs. Held at Ober Gatlinburg ski area and freestyle terrain park. Experience unprecedented access to some of the nation’s leading botanical experts as well as Appalachian wildlife authorities. The Wildflower Pilgrimage, which dates to 1951, offers over 150 programs including an array of instructional walks and guided hiking tours tailored to meet individual walking skill and ability, along with demonstrations and guest lecturers. 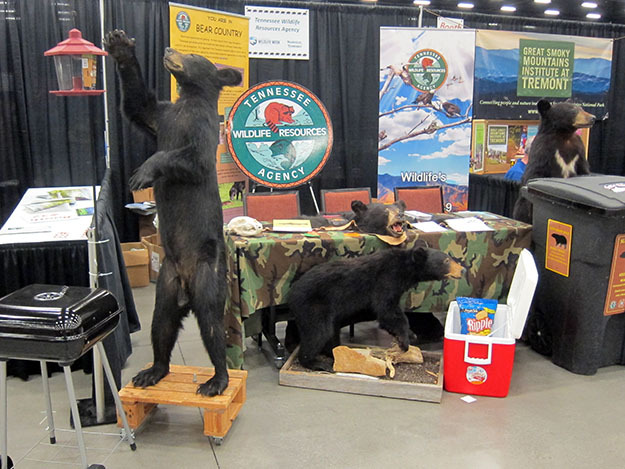 This is a week filled with special seminars, special events, and workshops about the wilderness and wildlife in Great Smoky Mountains National Park and surrounding outdoor areas. Dollywood’s Festival of Nations is a month-long event celebrating music, dance, food, and art. The event showcases the most captivating entertainment from around the world. Come up the Mountain and be a part of Ober’s inaugural Live Music Summer Series that begins on June 2nd and runs every Saturday through August 25th. The series will be featuring extraordinary local talent and our artists will bring you: soul, neo-soul, jazz, country, classic rock, and today’s hits. Saluting the men and women of our military services, the “First July Fourth Parade in the Nation!” parade starts at the stroke of midnight (one minute past 11:59 pm on July 3rd) to begin Independence Day. Floats, balloons, and marching bands. Downtown Gatlinburg. Anything floatable can be entered starting at 10 am on July 4th at the Christ in the Smokies bridge on River Road and will end at Ripley’s Aquarium of the Smokies. Awards will be given to the oldest and the youngest participant. Registration begins at 10 am and the race will start at 12:00 pm. Artisans not only make their art available for viewing and sale, but also demonstrate their special talents and skills during this show. The show is recognized as one of the top 20 events in the Southern U.S. by the Southeast Tourism Society. Gatlinburg celebrates its Appalachian culinary past with the Gatlinburg Beans and Cornbread Festival presented by Bush Brothers & Company. The event features a beans and cornbread cook-off, foot-stompin’ Smoky Mountain music, antique engines and lots of beans and cornbread for tasting. Tickets are $10 per person for unlimited sampling while supplies last. To purchase tickets email info@gatlinburg.com. Alternatively, you may call 865-430-1817 or 800-588-1817. Celebrating the area’s Appalachian musical roots, Gatlinburg will host its fourth annual Smoky Mountains Songwriters Festival. During the festival, sounds of some of the biggest hits in country, gospel and bluegrass music will resonate through the streets of Gatlinburg. A week long showcase of the best gospel singers in America. Gospel quartets come into Pigeon Forge from all across the country to sing. The event is held at the beautiful LeConte Center. The Smoky Mountain foliage turns brilliant colors of red, orange, and gold as leaves change colors in October to mid-November. Bring your cameras and take in this magnificent time of the year. The biggest Southern gospel festival in the Smoky Mountains. This six week harvest celebration features FREE gospel concerts! All concerts are included with Dollywood admission. Great Pumpkin LumiNights features artistic sculptures, whimsical scenes and family friendly fun throughout Timber Canyon. Visiting artisans from across the country share their talents through an array of handmade wares. The Homecoming centers around the Robert A. Tino Gallery and the art of Robert Tino. For over 30 years Robert has been capturing the beauty of the Smoky Mountains and East Tennessee. Join Robert and other local artisans and craftsmen for a celebration of our mountain heritage. There’s something special for all age groups. Live music and food vendors. Gatlinburg will be serving up homemade chili, from mild and delightful to wild and adventurous. The event takes place from 5 to 8 p.m. in downtown Gatlinburg. There will be a ceremonial lighting of more than 3 million lights throughout the city to kick off Winterfest. The event is free, but tickets for chili sampling are $10. There is also a special edition t-shirt available for purchase. This event is a seven-time award winner of America’s Best Christmas Event. Dollywood’s Smoky Mountain Christmas Festival features 4 million holiday lights and spectacular holiday performances, including “It’s a Wonderful Life,” “Parade of Many Colors,” “Christmas in the Smokies,” “Appalachian Christmas” and more. Smoky Mountain Winterfest is one of the most popular special events. Most noteworthy, it features millions of lights line the Parkway from I-40 at Hwy 66 all the way through Gatlinburg, TN. Lots of great activities and shows have been planned for the Winterfest celebration. The Great Smoky Arts & Crafts Thanksgiving Show features some of the finest artisans in the Southeast. These artists make up the Great Smoky Arts & Crafts Community located just off Hwy 321 in Gatlinburg. The show is held in the Gatlinburg Convention Center in downtown Gatlinburg. The Great Smoky Christmas Arts & Crafts Show features some of the finest artisans in the Southeast. These artists make up the Great Smoky Arts & Crafts Community located just off Hwy 321 in Gatlinburg. The show is held in the Gatlinburg Convention Center in downtown Gatlinburg. More than 60,000 people will be in downtown Gatlinburg to see this award winning parade featuring lighted floats, marching bands, equestrian units, giant balloons and of course Santa Claus. The parade route starts at traffic light 1A on Hwy 321 (East Parkway) and travels to Hwy 441 (Main Parkway) and continues from light 3 to traffic light 10. Over 150 Tennessee athletes with intellectual disabilities compete in alpine skiing, snowboarding and speed skating in divisions based on age and ability. These special events take place at Ober Gatlinburg. Copyright © 2019 Smoky Mountains Anytime. All Rights Reserved.